How do you get investors to trust you? For any investor to invest in a startup, they need to have a lot of trust given the scary statistics on how many startups fail. You can even divide this trust into two things the investor must believe in: trust in the business opportunity (that the problem you are trying to solve is real, that the market is big enough etc. ), and trust in your team (that you have what it takes to deliver on the opportunity). 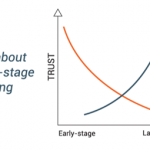 But there is a big difference between early- and late-stage startups when it comes to how trust is generated. If you’re a late stage startup, you have a product, users, paying customers and revenue, and a team that have delivered the above. What this means is you have a lot of historic data, that is both quantitative and qualitative, to support your claims. You are able to provide credible answers to tough questions like: What is the cost of getting a customer? How much are they willing to pay? and How big is the market? Real data beats every scenario analysis there is. If you have customers paying, that is proof – and proof generates trust. Of course, they still have to have trust in you and the team, but it’s relatively easy to convince investors about the business because you have real data. Early-stage startups should of course explain the business and market opportunity, but it’s really 80 per cent about you and 20 per cent about the business. If it’s all about trust, how do you get early-stage investors to trust you? 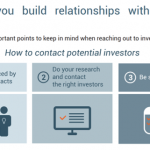 you meet a potential investor – there’s no personal trust. Even if they think you’re cool, feel you have what it takes, and you have a great business, the chance you’ll get money the same day or the day after you meet is tiny. Entrepreneur turned venture capitalist, Mark Suster, from Both Sides of The Table, said, I don’tinvest in a dot, I invest in a line. six months later they may see they’re still not quite there yet but the line is going in the right direction. 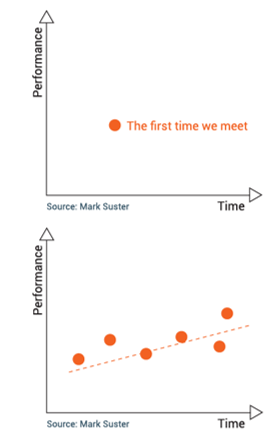 As Lars Andersen, General Partner in SEED Capital, explains: The most common mistake startups make in relation to contacting VCs is that they make contact too late. Seriously, it’s about sticking your neck out there. Your product doesn’t have to be perfect. 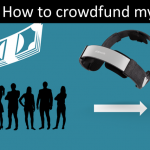 Build a minimum viable product, use it to learn about your customers, and start contacting VCs. We might say that it’s still too early, but that doesn’t mean never. The now successful wine scanner app, Vivino, had a first productthat was absolute crap, but they gave us something to work from. on coffee with VC partners! What does this mean to startups? You have to build relationships with potential investors before you need the money – you shouldn’t wait until you have everything in place. Create relationships now. 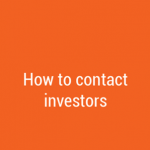 ← How to contact investors – do I need to write a business plan? 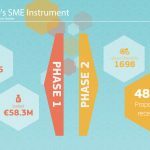 How do I get a public grant for my startup?